We know the Filmed by Bike fans who come to Opening Night like to have a good time, so we’ve programed a special collection of festival favorites for this high-energy program. Some of our most raucous and exciting films will play during this program – and some will not be screened again. Get ready for an animated atmosphere. If you prefer your movie screenings quiet and reserved, this one is not for you. Be sure to buy tickets (or a festival pass) for other festival programs; what we’re showing tonight is only a very small taste of what the festival offers. The streets are jam-packed with the most enthusiastic fans you’ve ever seen at this wild bike race. Crowd favorites Prof. Dave and his daughter Mimi G. are at it again with this moral tale. 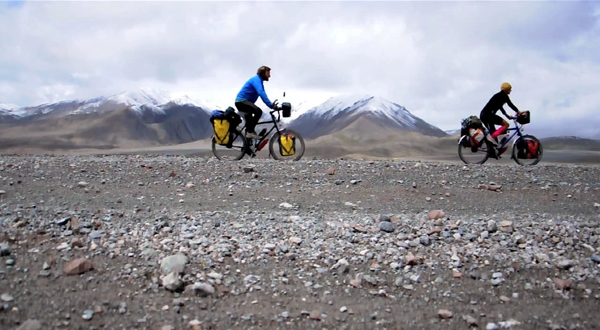 Peter and Mary takes us on an unexpected journey through Central Asia and a glimpse at the connections they made along the way. What would it be like to abruptly go car-free? Kara Minnehan has spent the last year exploring a car-free lifestyle and shares her journey with us in this prelude to her full-length documentary. Oregon Bicycle Racing Association has big fans. 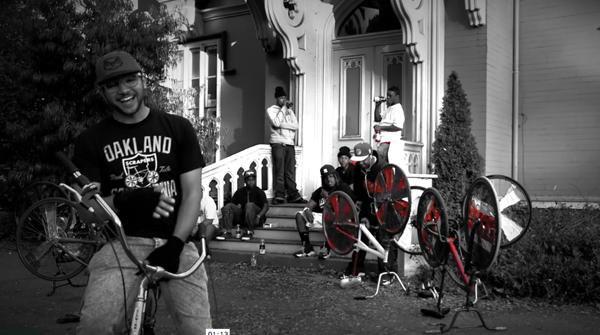 We’ve long been fans of the Oakland Scraper Bike kids, and are stoked to have this music video in this year’s festival. Take a wild cruise through the streets of Portland with Alex and his crew. 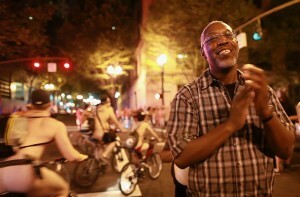 The World Naked Ride takes place all over the globe, but the largest event is right here in Portland. 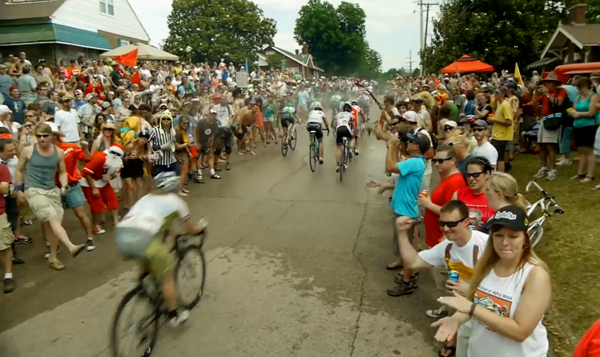 In the summer of 2012, the crew of NW Documentary (Filmed by Bike’s beneficiary) trailed along with the ride for a rich glimpse into this wild event through the experience of some (unexpected) participants. Tonight, you’ll see the trailer only. 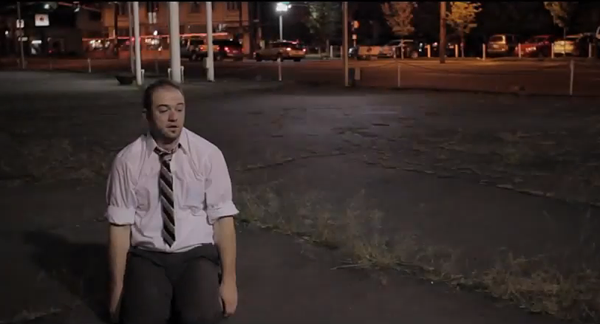 The full 17 minute film plays during the Bicycle Dreams program. Cuties from Vancouver show how to put your bike on the bus. Can you ride one handed? No handed? Track stand? You’ve got nothing on this guy. 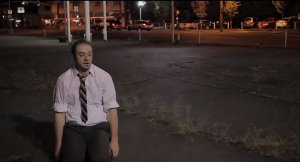 A man does conquers amazing daily feats on this bike in this quirky-cute piece. Need a bike rental? How about a goat? You can try to get where you’re going, but once you enter this diagonal nightmare, you’ll never leave Sandy Blvd.